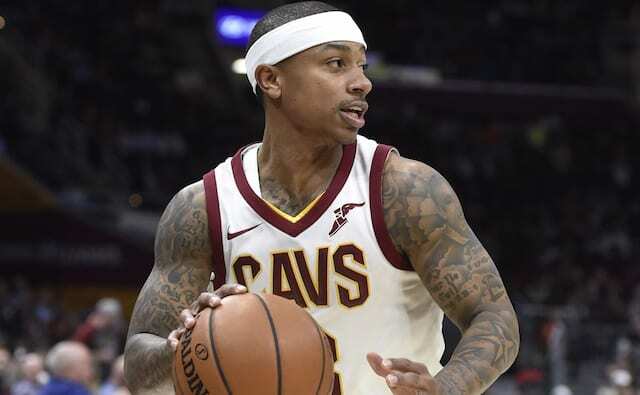 The Los Angeles Lakers completed a blockbuster trade with the Cleveland Cavaliers in the final hours before the deadline, dealing Jordan Clarkson and Larry Nance Jr. in exchange for Channing Frye, Isaiah Thomas a first-round pick in the 2018 NBA Draft. 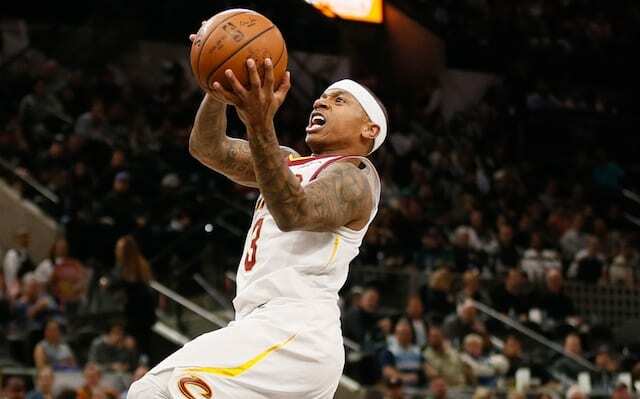 The Cavs were off Thursday night, while the short-handed Lakers faced the Oklahoma City Thunder, who also were without two players in Carmelo Anthony and Russell Wesbtrook due to respective ankle injuries. The Lakers withstood a strong start by Paul George to rout the Thunder. They’ll next play Saturday, against the Dallas Mavericks in the start of a three-game road trip. 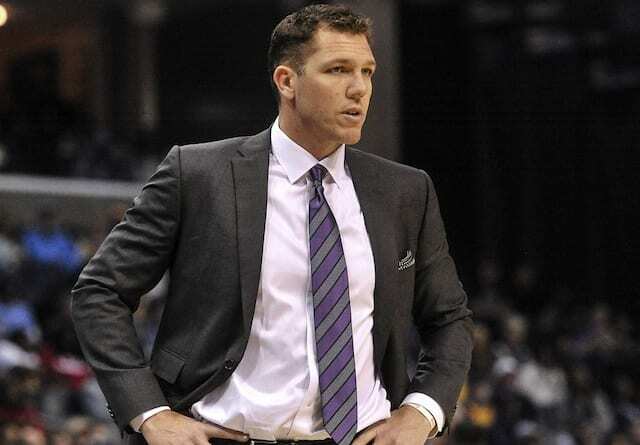 “They’re supposed to meet us in Dallas, from my understanding, and be ready to play if we need them,” Lakers head coach Luke Walton said of Frye and Thomas. 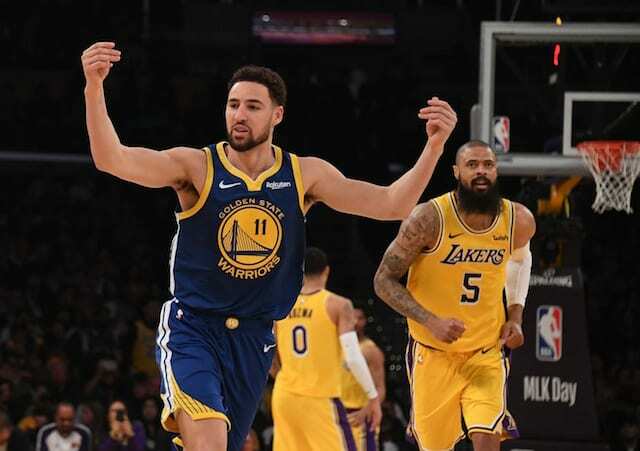 While the former Cavaliers are going from a championship contender to a franchise still looking to restore its glory, the Lakers are on a four-game winning streak and are 12-4 since Jan. 7. Walton doesn’t anticipate the new additions will disrupt the ryhthym the team has developed. “We play a certain way, and we hold each other accountable for that. 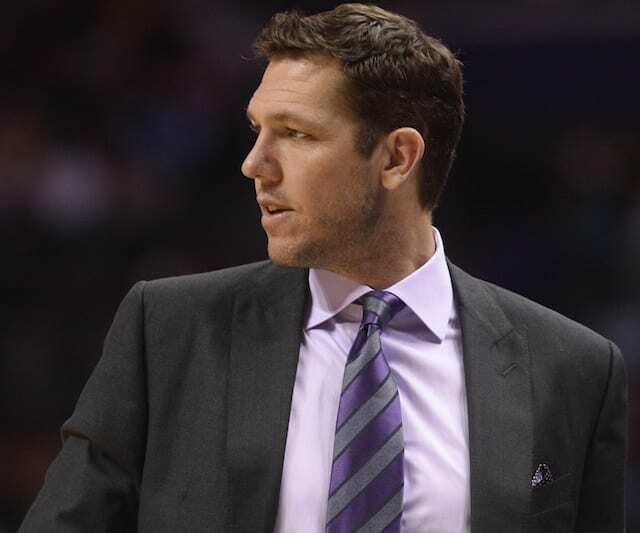 I can’t ask the players to do it if I’m not going to take guys out when they’re not playing that way,” Walton explained. “I think it’s a little easier to be able to do that when you’re wining games, so that’s nice. I don’t see the new guys having a problem with that. We play a fun style of basketball. We compete, we run, we play fast. To a man, the Lakers expressed a certain level of sadness in seeing Clarkson and Nance get traded, but they’re also welcoming Frye and Thomas with open arms. “They both bring something really good that we need,” Julius Randle said. Brandon Ingram, who presumably will have some of his point guard responsibilities scaled back, echoed Randle’s sentiment. “We know they’re very talented players,” Ingram said.